If you are looking to update the windows in your home for new windows for your home then you will no doubt have read a great deal about ensuring that your windows are energy efficient. Energy efficiency when it comes to windows is certainly very important, for a number of reasons. First of all if you have a windows which can allow air to slip through them when they are closed, you will be losing heat from the home, costing you money, and it will also be letting cold air in, which also costs more money in heating up the house. You windows should be fully insulated and they should be designed with the right materials to ensure that they are actually energy efficient. Traditional window designs are rightfully dying out, because they don’t insulate homes like they should. To ensure that you are buying windows which are energy efficient, here is what you should be looking out for. The materials with which the window is framed is very important and here are some of the most commonly used. Fiberglass – Strong and durable, easy to maintain and they offer very good insulation, frames can be filled with additional insulation or left hollow. Vinyl -Vinyl provides good insulation and these frames are low maintenance and can be reinforced with wood or metal for wide sills. Aluminum – Low cost frames which offer strong insulation and are great for the environment as they can be recycled. Wood – The preferred choice in older neighborhoods, wooden frames are strong and they provide excellent insulation. Generally these will be clad with aluminum to make maintenance easier. It is not just the frame which needs to be made of excellent material that will properly insulate, so too does the glass pane which is placed inside the frame. Low W glass is often preferred here, which has a special coating that is able to reflect infrared light, thus ensuring that heat stays inside the home during the winter or colder days. This glass type also reflects UV light which can help to protect furnishings and decorations in the home from being damaged by the sun’s rays. 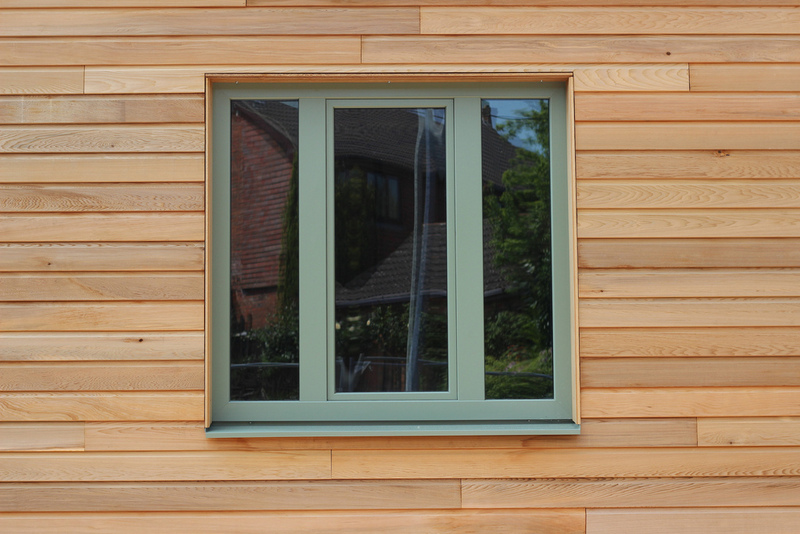 There are more features to an energy efficient window than just the glass and the frame, and these are extras which you should be on the lookout for. Let’s take for example warm edge spacers, these ensure that the glass is the correct distance from the frame, and they will generally be made of a metal hybrid, these spacers make sure that heat transfer through the window is reduced. Gas fills are a common feature of energy efficient windows, which is where krypton, argon or other gases are placed between the window panes, to help to insulate the window. Many companies will offer energy efficient windows when this is not strictly the case, so make sure that you are aware of what exactly you are looking for, before you decide on which windows are right for your home.